San Simeone Piccolo is the last church built in Venice. 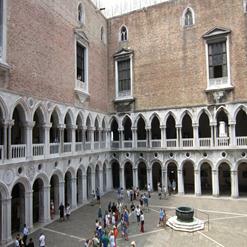 It is located across from the Grand Canal in front of Santa Lucia Train station. One of the things that it is recognized for is the fact that they celebrate Tridentine Mass on Sundays. It is also recognized for it's dome because it is used to make the church look taller than it is and the dome itself is entirely covered with lead sheet.